Start your career in industry, then move to public accounting. Plus job interview tips for recent grads. All in this episode of Abacus. Let’s Go! What does Susan look for when hiring accountants at her firm? Advice for someone deciding to go back to school for accounting. What accounting students should do while they’re still in school. Going back to school as a single mom. Why it’s hard to get recruited by public accounting firms as a non-traditional student. What to do if you get bored in your current job (before starting a job search). The benefits of starting your career in industry, then moving to public. Bob the CPA: This is Abacus. I’m Bob the CPA. My guest today is Susan Adams. Susan Adams: I am a tax shareholder with Huselton, Morgan & Maultsby in Dallas, Texas. Bob the CPA: We’ll cover a lot of ground in this episode, including the difficulties of getting recruited as a non-traditional student. Susan Adams: The big four, to be honest, didn’t even want to talk to me, and they didn’t talk to me. Bob the CPA: And, how her industry experience has helped her in public accounting. Susan Adams: At first I thought that the background of being in industry was a detriment to me, bu then after a little while I realized how much it provided me with the additional experience. Bob the CPA: All this coming up on Abacus. Let’s go. 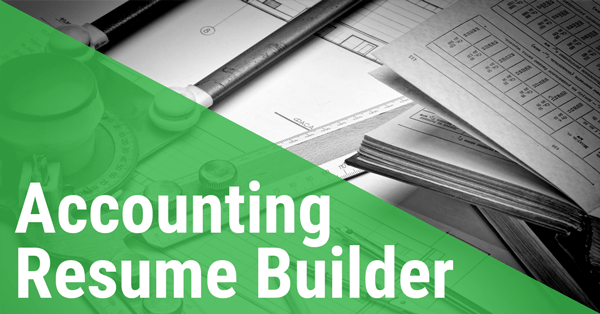 Learn everything you need to know to have successful and fulfilling accounting career. Whether you’re on the partner track, or you’re making your own path, this is Abacus. Bob the CPA: Hey everybody. 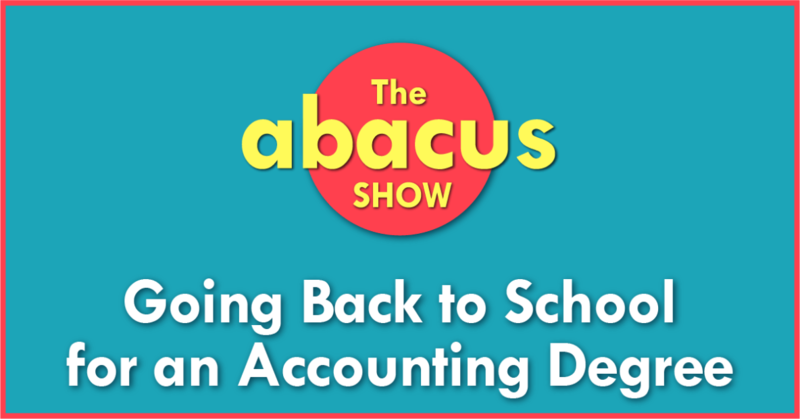 Welcome back to the Abacus show, where I’m finding interesting accountants from all over the country, to share their knowledge and experience with you, to help you find the right career path. Today I’m talking to Susan Adams. Susan started her career as an AP clerk, right out of high school, and rose through the ranks in industry before deciding to quit her job, get her degree, and become a CPA. Today, she’s a tax shareholder at a public accounting firm in the Dallas, Texas area. A few of the topics we’ll touch on in this episode, include Susan sharing what she looks for when she’s hiring recent grads, some solid advice for anyone still in college studying accounting, and what you can do if you get bored in your job, before deciding to go start looking for something else. As always, come back and check out the show notes for this episode at abacusshow.com/307. To get links to anything we talk about, and you can pop in your email right there at the top of the page, and I’ll email you a few of the all time most popular episodes of the Abacus show. Now, let’s get right into the interview with Susan Adams. Bob the CPA: Susan, welcome to the show. Susan Adams: Thank you very much for having me. Bob the CPA: Before we get into, the whole interview, I was wondering if you would just give me maybe the 30,000 foot overview of your career so far, leading up to what you’re up to today. Susan Adams: I actually in high school I took accounting classes and loved that. When I graduated from high school, shortly after that I obtained a job in a accounting department of a large corporation in Texas, working in accounts payable. I loved it and immediately my bosses then, managers saw that I guess I had a skill that I was very good at accounting, so I would quickly advance through several positions in the corporation fairly quickly. About every two years I received an advancement and actually moved in several different areas and divisions in the corporation. I always had a vision in mind that I wanted to get my degree and become a CPA. That was always my lifelong goal. Life threw several curve balls in my way, and I had a small child, very young, and then shortly after that my husband left me and so I was there with a young child and trying to make the best of it. I felt like that, as a mom, I needed to work really hard to provide for him, but I didn’t see a way, a means to go to school, right then while he was young and small. I always had that in the back of my mind that I continue to work really hard in the different divisions of accounting and really worked my way up into the management division in the corporation. I’d always stressed to my son that college was very important and that he needed to get a college education, and that I was going to get one as well. I would do that when he graduated from high school. We would go to school together. That’s what I did. As soon as he graduated I started taking classes, accounting classes while I was a manager at the large corporation. Because I at that time, had worked my way up into becoming a manager, and I was at the time managing anywhere from 25 to 50 people, and working a lot of long hours, I felt like it was going to take me forever to get that degree. I took a big leap of faith and resigned my position and went to school full time. I got my degree, but in my senior year I was approached by the firm that I work for now, and asked if I would be willing to do an internship. Granted, I wanted to do an internship but most public accounting firms do not and especially the big four, I was not the type of student that they would even encounter or even ask if I would be willing to do an internship, because I was the non-traditional student. The big four, to be honest, really didn’t want to even talk to me, and they didn’t talk to me. I really kind of resolved myself to the fact that I probably need to go back to industry. Not necessarily work in a public accounting, but the firm that I work for approached me my senior year and asked me if I was willing to do an internship with them. I said, “Yes. I would love to do that. I would like to find out what it would be like working in public accounting. 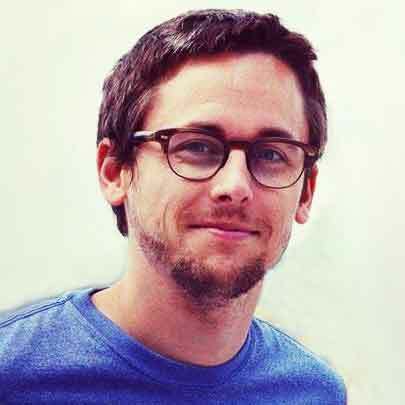 This is my experience and probably would need to go back to industry because that’s where my experience is, but if you’re willing to take a chance on me, to see how things work, I’m willing to give it a try if you’re willing to give it a try.” They said, “Absolutely.” They offered me that internship and I loved it. It was a lot of hard work, a lot of long hours. I felt like I had to work twice as hard because I was not young and I was not the 20 year old, or 22 year old but I think excelled and do well and they were really pleased with my work. After a month or so, they actually offered me a full time position, once I completed my degree, which was in. I started to work for them in January and then I graduated in December. That’s kind of my journey. Right after that, after graduating several months later, I started the process of studying for the CPA exam and by the end of the next year, I had passed all the parts of the CPA exam and became licensed. Bob the CPA: That is an amazing story. I had heard bits of pieces of that before we got on the call, and kind of pieced it together looking at your LinkedIn profile, but there’s so much I want to unpack there, so I’m going to try to take it piece by piece. Bear with me. Susan Adams: Okay. Okay. Sure. Bob the CPA: I guess the biggest thing is, when you’re going to your internship, how did you just say, I know this is what I want to do? What did you realize about public accounting that made you realize that this is what I want to do and not go back to corporate accounting or do something else entirely? Susan Adams: I guess what I loved about public accounting is every day was a different day, different and it was new day. I would get a different project. Something would be different. It would require something else for me to learn and everyday was a new challenge. That was a little overwhelming at first, but I loved it and corporate accounting, one of the reasons I moved from division to division every two years was because I would get bored with what I was doing. It was just repetitive and I wanted a new challenge. In public accounting, I realized within the first few months, that every day was going to be a challenge and it would never be boring. That, one of the shareholders almost immediately after I was there three or four weeks he said, “I have a challenge for you.” I’m like, okay. He gave me some books of a client and that was pretty messed up and said, “I need you to figure it all out.” I just took the challenge and said, “Okay.” I met with him a few days later and said, “These are the problems that I found. These are the ways I think it needs to be corrected.” I guess from that point on, they realized that even though I was a little bit older, I was up for the challenge and would work twice as hard to get the job done. I think I really had at first, I thought that the background of being in industry was a detriment to me, but then after a little while I realized how much it provided with me with the additional experience before I even finished my internship. I was awarded my first client. It was a retail client that needed help and so they actually put me on that client and I actually worked for that client as their interim CFO for many, many years. Bob the CPA: You’ve been there obviously a few years now, and worked your way up. Do you still find that you’re having new challenges and new rewarding work to work on, or have you had periods where it does get boring again and you have to go out and kind of find other things to kind of make it interesting for you? Susan Adams: You know, typically it’s not boring. I have been with a firm and I’ve been with the firm since 2004, and so this will be starting my 13th year. If I feel like I’m getting bored, then I’ll get a phone call or acquire a new client that really challenges me and keeps me on my toes again, you know, puts me on my toes again and really keeps me sharp. I’m a tax shareholder and in tax it’s ever changing. There’s always something that’s changing, that requires research or requires self study. Very rarely do I get bored. Bob the CPA: In addition to maybe going out and doing some self study and some research on your own, do you have any advice for maybe your staff or staff at other public accounting firms that maybe are kind of feel like they’re stuck in a rut, to maybe see if there’s another shot staying at their current firm? Things they can do to reenergize it before they decide to maybe jump ship? Susan Adams: As a shareholder and as having staff working for me, I can understand sometimes how someone can get bored and what my first hope is that they will come and talk to me or talk to a mentor and see if there is ways and means, or other things that they could be doing that would reenergize them in their current position. I do know that there’s some positions that no matter how much you try to be energized, it’s just not a good fit for you. You need to find what works for you and what you’re good at. Another thing that I found that is really healthy, stay energized and work through the many things and is to do a lot of outside networking and also give back to the community and serve in other areas in volunteering. That to me adds a lot your career and gives a new perspective on things. A lot of times, if you don’t do that, then your perspective is pretty narrow. Bob the CPA: I know when I was in school at least, I don’t know if it’s still the similar or if it’s across all schools, but when I was in school they were really pushed hard, what you want to do is you want to go big four. You want to go public accounting and then you can go into corporate. Did you find starting in corporate there were any specific skills you learned, maybe because you moved around so much or just being in that environment before you got to public? Were there anything specific that you remember that really helped you once you switched over to public? Susan Adams: I guess what helped me is working for a large corporation and it helped that I did move from division to division, or department to department, because I really saw a wide variety and a wide perspective of all the different areas of financial accounting. Then, walking into public accounting, I already had that background and perspective, in where someone that’s just come out of school and went into public accounting, it’s hard to visualize, no matter how much you have had classes and they tell you about things. Actually experiencing it is really different. I tried to tell students especially, it’s totally different. I think what happens alto of times are the accounting students leaving school and going to the big four, they especially on the audit side they get one little piece and they don’t really get to see the whole picture and it’s hard for them to understand all the perspectives, the whole picture a lot of times. Bob the CPA: For someone who maybe was interested in coming to work at a smaller firm, similar to yours, when you’re hiring or interviewing, what are the specific skills or attributes or attitudes that you’re looking for in an interviewee? Susan Adams: I do quite a great deal of recruiting on campuses and really try to talk to students about really being honest with themselves about what do I want. What I find a lot of times is students, especially younger students, they want to go into auditing because I get to travel or it just sounds fun. I try to actually, we have a game test type thing that we give to the students in asking them a variety of different questions a different way, to try to determine whether they are adaptive and their personality is adaptive more for audit or for tax or if it’s not adaptive for either, and it’s industry or something of that nature it would be better for them. I try to really tell them that you need to be honest with yourself and truthful for really what works. Some of the qualities I look at is of course we look for good grades. I think that’s real important. Also, study habits. You can tell by people’s grades whether they have really good study habits a lot of times. Then also, we as a smaller firm because we can’t compete with the big four, we also look at what other, if they’re working while they’re going to school or if they are participating in a sport. It’s real, I’m not saying it’s simple, but sometimes it’s easy for someone just to go to school and that’s all they do. They can make pretty good grades doing that. If they are also working or they’re participating in sports, and they also are making good grades, we also look to see if they are participating in the Beta Alpha Psi or one of the other student organizations. Then I also look at someone that really had a good attitude, and also wants to learn, is very willing to learn and they may say, “This part of accounting, I don’t quite understand, but I would love to learn that.” Someone that’s always willing to put their best foot forward and really strive to do their best. Bob the CPA: Looking back to when you were deciding, I guess first to go back to school, and then to quit and go to school full time, with the benefit of hindsight, and how everything’s turned out, do you have any advice you would give yourself back then? Susan Adams: Yes. Probably I should have resigned my position and left earlier and started earlier. Bob the CPA: Why was that? Susan Adams: I guess I probably there was some fear associated with leaving the good position that I had. It had become comfortable, and just being willing to take that risk earlier I think would have been great, but it is what it is at this point. Bob the CPA: Especially now that you know it worked out, right? Bob the CPA: Well, I don’t want to take up too much of your time tonight. I know it’s getting a little bit late. I was wondering is there anything else, before I let you go, that you want to make sure to share with our audience today? Susan Adams: Yes, especially for students to take advantage of when they’re in school to become part of other organizations like Beta Alpha Psi, any I know there’s some student organizations for accounting and financial women’s alliance and even just any organization, student organization that is related to accounting and finance, because that you’re going to get exposure to speakers and individuals that have experience and in the accounting field and from all different areas of accounting and finance. I think that gives the students a perspective on how they can use their accounting degree and then how they can use all their experience that they’re receiving in school and then how that they can move forward in their career. For young individuals starting out, I would say that one of the things I see in staff early in their career they don’t understand and realize the importance of networking with other professionals. Also, becoming involved in their community and serving their community and volunteering in areas. 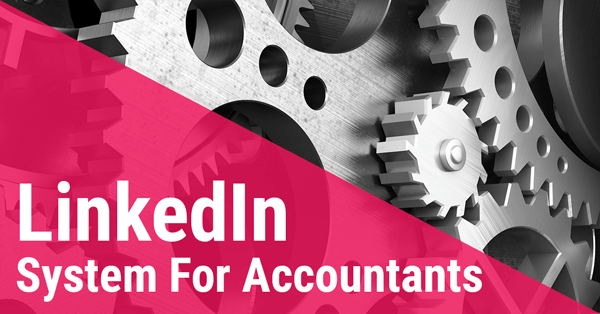 You may not necessarily be in the accounting world, but in an organization that you’re passionate about or that you want to be involved in, because those things add so much value to you as a person and also add value to your success of your continuance of your career. Bob the CPA: Absolutely. All right Susan. Thank you so much for coming on the show today. I really appreciate it. This was awesome hearing your story. This was great. Susan Adams: All right. Thank you so much. Bob the CPA: That’s all for today folks. Thanks again for listening, and I’ll see you next time, right here on The Abacus Show. Shareholder at Huselton, Morgan & Maultsby, P.C. 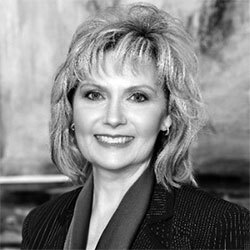 Today Susan Adams is a Shareholder at her firm in Dallas, TX. And she has a fascinating story of how she started out as a single mother working in Accounts Payable at a major US corporation. Then went back to school to get an accounting degree. And finally getting her CPA and working her way up the firm. She’ll tell you all about it, and offer some great advice for students and recent grads, or anyone who is considering going back to school later in life.